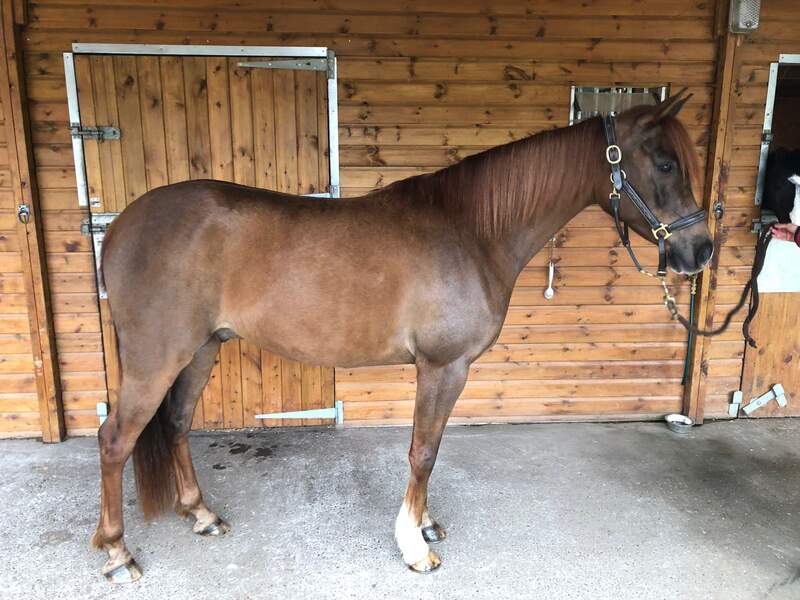 Description – Kismet is a 14.1hh, 7 years old, chestnut, Arabian gelding. History – Kismet arrived at Bransby Horses as part of a multi charity rescue in 2013. Behaviour & Handling – Kismet can come across as a little grumpy at first but once he gets to know and trust you he is a lovely, affectionate, kind boy. Perfect Match – Kismet needs an experienced, knowledgeable home that is familiar with the Arab breed. Kismet has limited education so does need to continue his schooling to build his confidence in his ridden work. He would suit an active home where he gets to do a variety of work with a competent, capable rider. Stabling/Shelter – Kismet enjoys routine, he is currently turned out in the day and lives in at night. Kismet could live out with an adequate rug and field shelter. Companionship – Better suited to living with geldings. Forage/Feed – Currently on a feed balancer and turned out on average grazing. Rug – Kismet will need to be rugged in the winter and wet weather. Feet – Currently wears front shoes. Good with farrier. Clip – Never been clipped. If you feel you could offer Kismet a loving home, please click here .